Leave your AC studio flash at home? the Qpaq-X flash system works for both location and candid photography. Connect one or two Qflash X 400 watt-second heads and shoot in Manual, Automatic, TTL, or Strobo mode! Qpaq-X has a removable battery that is user replaceable. Select from either small or large battery modules to fit the needs of your assignment, Then add or remove PXC modules to create a compact 200 watt-second pack or a two head, studio system up to 800 watt-seconds. Think building blocks when you put together a Qpaq. At the top there is always a PX Command Module. Build your system up to 800 watt-seconds with 200 watt-second PXC modules. Then snap on a High Capacity PB1 Battery. studio with your conventional or digital cameras. Pack this same outfit and take it on location for indoor or outdoor use. After portraiture photography is finished, breakdown the Qpaq to either 200 or 400 watt-second pack and use it for your grip & grin shots. The Qpaq/Qflash X is the only flash system that gives you 800 watt-seconds of studio quality lighting for Manual, Automatic, Strobo and TTL exposure control. 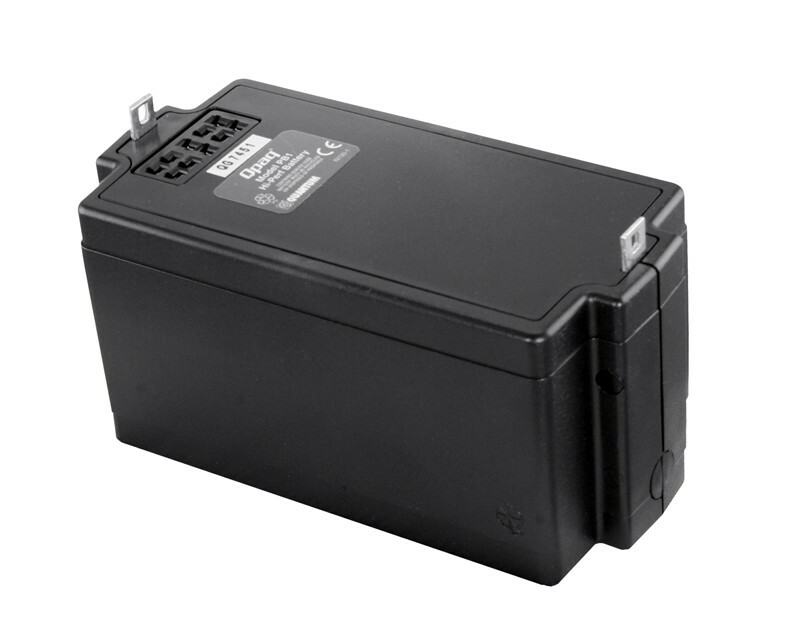 Our "no memory" battery system lets you charge the Qpaq from any capacity level. A new charging design displays the level of charge going into the battery from 25%, 50%, 75% to 100% capacity. Remove the battery from the charger at any time for emergency use.